MouseCity Toon Escape Amazon is another point and click escape game developed by MouseCity team. Play MouseCity Toon Escape Amazon game and have fun!!! 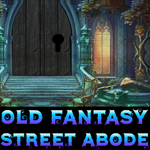 Old Fantasy Street Abode Game is another point and click room escape game Developed by Games 4 King.